Welcome to JoJo Gnome’s Story Podcast, recorded in the garden shed at the bottom of JoJo Gnome’s garden in Scotland. 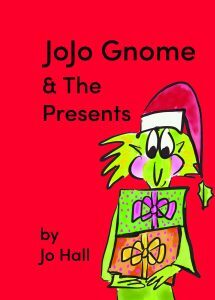 Writer and storyteller Jo Hall will be sharing stories about JoJo Gnome and his friends with you. You’ll also be able to join in and invent your own stories with our ‘Story Starters’. Ideal for ages 3-6 years. Check out the podcast page for each episode, which has lots of fun follow on activities. 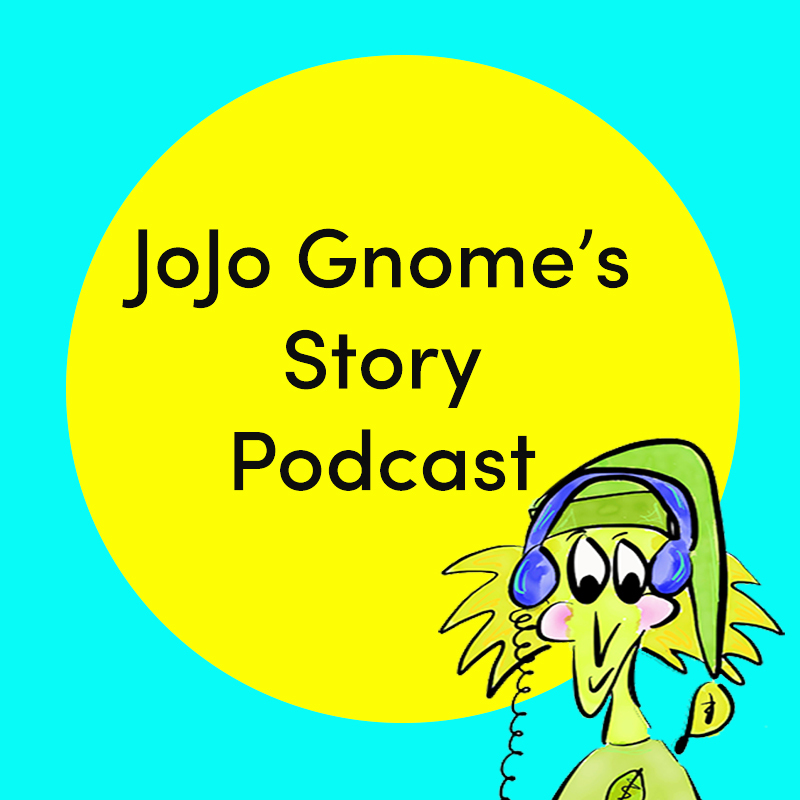 For Podcast #11 JoJo Gnome’s Springtime Stories- visit the podcast page with extra content here. Subscribe to the podcast (on iTunes , Spotify or from the player above) to make sure you don’t miss an episode. It’s free. We are always delighted to hear from you if your are a school or an individual, email us at jojognome@gmail.com. If you are looking for more stories JoJo Gnome books are available to buy at Etsy – All things JoJo Gnome. Jo Hall runs school workshops – Primary 1 and Literacy Workshops in schools and nurseries, get in touch for more information at jojognome@gmail.com. For schools outside Scotland there is a Twitter Tales workshop. The latest JoJo Gnome Book is out now. This fun filled ‘noisy’ adventure in Sound Town is full of action. No one is very happy in Sound Town but will JoJo and Grandpa Gnome’s presents sort things out? The book is for sale now on JoJo Gnome’s Etsy page. The cost is £6.50 (free postage and packing on the UK mainland), there’s a free exclusive JoJo Gnome badge with the first 50 copies purchased.